Feminine and festive dress made by Cream. 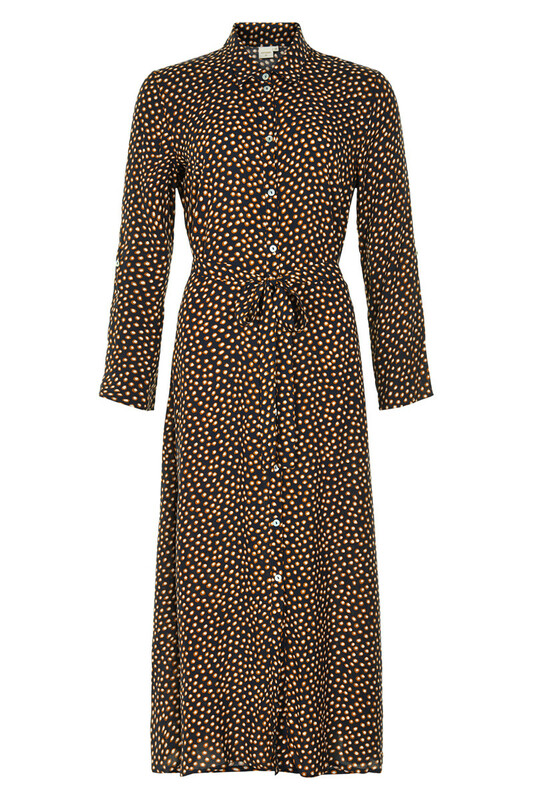 The shirtdress is beautiful with its many dots, long rolled-up sleeves, neck collar, V-neckline opening and bottoms all down the dress. The dress is very easy to style, it depends on occasion and mood. Furthermore, to its many fashionable and pretty details is the quality also extremely good, which makes it super comfy. The dress has a regular fit with an ankle long design.